Okay . . . don’t laugh. This recipe might seem a little counter-productive given yesterday’s lengthy post about how I gained weight, bought a treadmill, nearly killed myself & my Hubby hauling the 200lb. treadmill upstairs, and then completely reorganized a closet (including un-installing and then re-installing the closet fittings) to hide said treadmill when it’s not in use. I figure as long as I consume these yummy morsels of deliciousness in moderation (maybe while on the treadmill?) I’ll be okay. Plus, peanut butter is health food, right? Right? 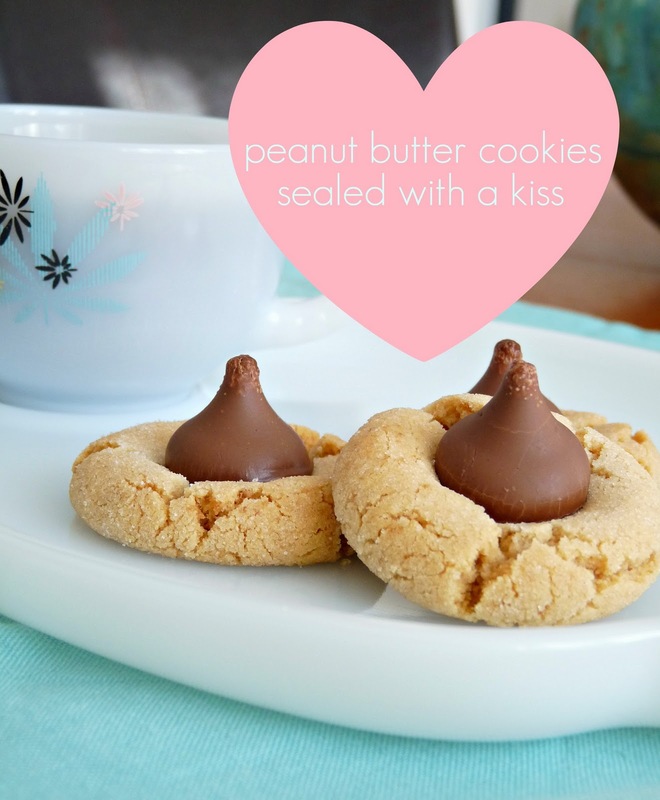 Here’s how to make this yummy classic, peanut butter cookies sealed with a kiss! How many calories for all 40? Eat/serve these within a couple hours or so of baking. 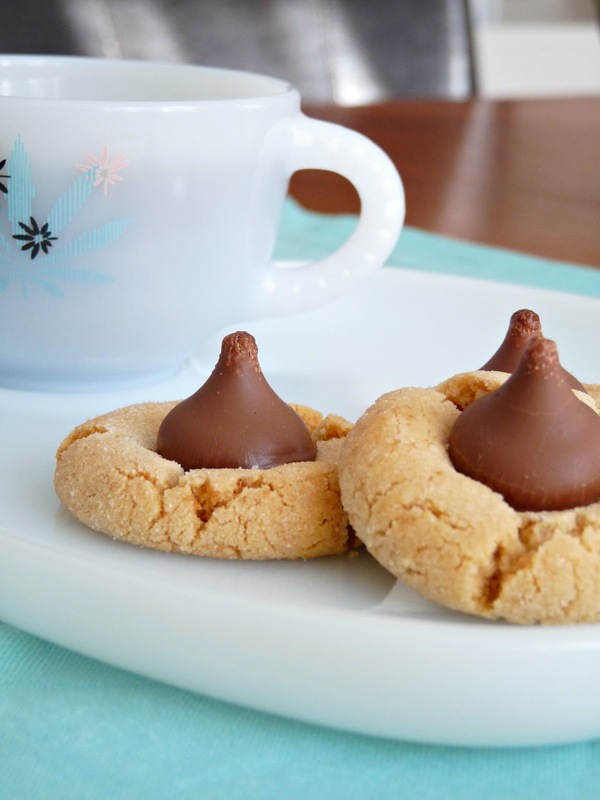 The chocolate kiss is still a bit soft but the cookies are cool enough to eat. Pop one in your mouth and it will melt. Heaven. The next day they are still just as yummy but slightly pointier. Eating them whole is not recommended the next day. Ow. P.S. Try these with a yummy London Fog (latte). 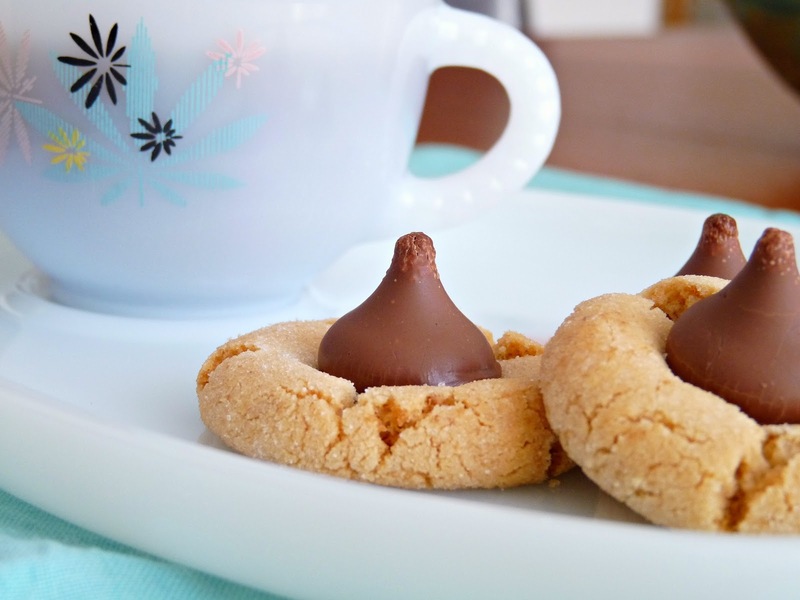 You have both already made these cookies? Wow. This was my first time. 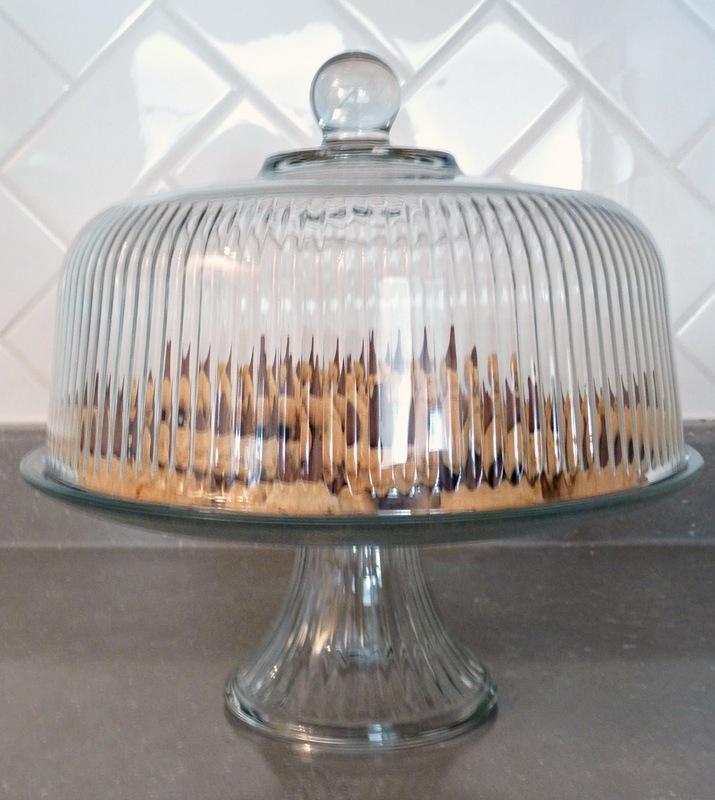 I've previously overlooked this recipe because it looked too decadent. I was right . . . Hahah!! I think peanut butter is a health food. And it's totally okay if you eat them while on the treadmill. 🙂 🙂 This post cracked me up. But in all seriousness, those cookies look amazing. Thanks for sharing! I have made these before too. They are amazingly delicious. Thanks for reminding me of them! I am a firm believer in a little indulgence every single day, even if you're watching what you eat. Food is supposed to be fun, a pleasure! So, I agree, have one or two (or three) guilt free! Besides, chocolate is good for you! ;)Also, sooo tasty looking. Peanut butter + chocolate = win. Food IS supposed to be fun. I love eating. so tempting…u are awesome…i m coming over!! The more the merrier, lol! I love your long comments! Sometimes I just leave "luv it" on blogs. SUPER lame. Lengthy shows you care.P.S. Can you proofread everything? I am the typo queen.